Among the many compositions, albums, and events coming our way for Piano Day 2017 will be the release of the third in a series of beautifully conceived EPs by composer Garreth Broke featuring special watercolor and ink artwork by partner and frequent collaborator Anna Salzman. 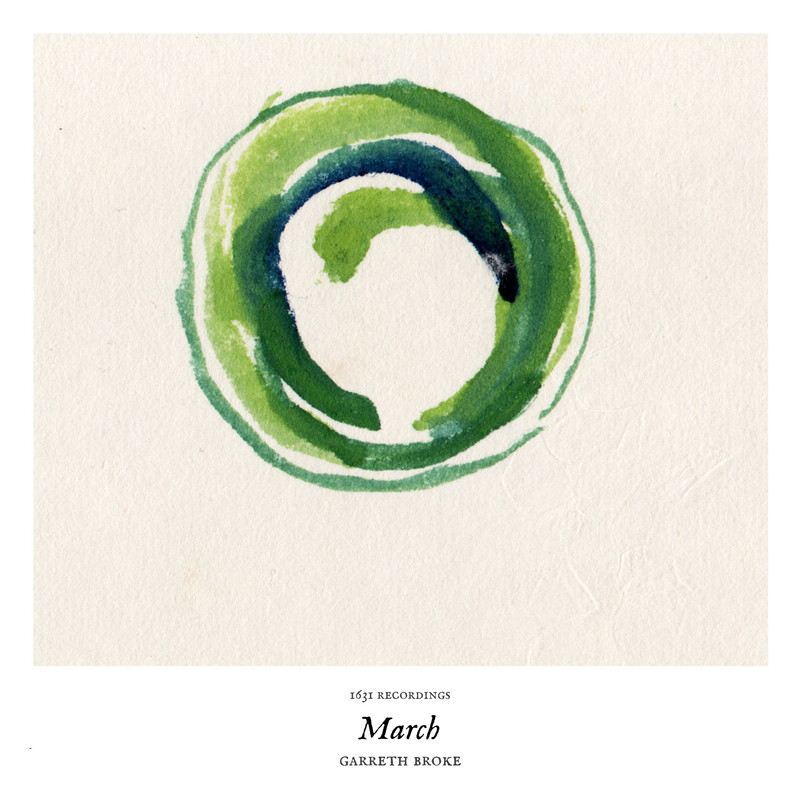 Entitled March, these four new solo piano pieces underpinned by subtle organ textures are an exploration of “cycles and returns”, in particular coping with grief and the journey from loss and disappointment to renewal and hope. Featured here in an exclusive premiere is the video Anna created for the song ‘Hinterland’ which moves across an abstract landscape she created in watercolor and ink on a three meter long leporello (a concertina style fold-out book), once in the initial presentation of the melody and again from an inverted perspective as the melodic hues turn a darker shade. While March touches on wistful themes, each piece is imbued with the verdant promise of spring by contrast with the autumnal melancholy of September and the crystalline austerity of December, a testimony to Broke’s ability to master nuances of style, tone, and timbre to convey both mood and setting. Coupled with the lovely artwork and inventive experiments with both form and medium, Garreth and Anna have created a unique series that is as enjoyable as it is moving.